The Seahawks 12s are getting wilder than ever. Today penguins, Asian small-clawed otters, wolves, river otters, meerkats and lemurs joined the roster. Together we’re cheering on the Hawks as they advance to the NFC Championship. 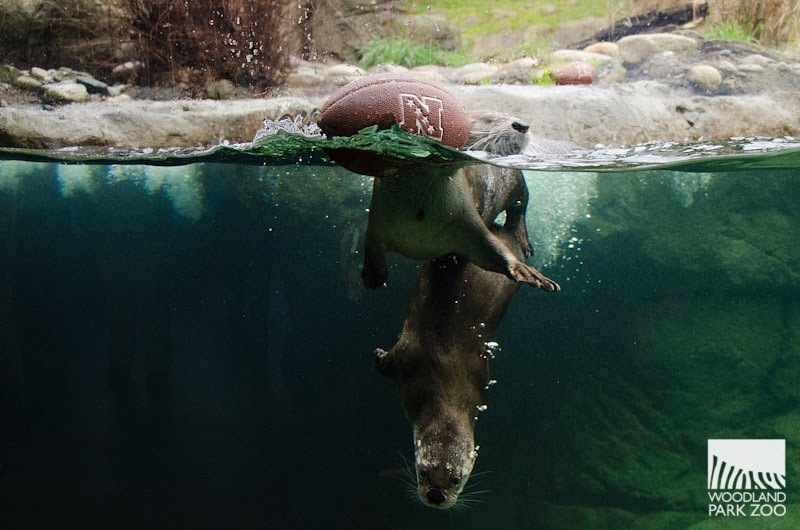 As they keep winning, you keep saving—take $3 off zoo admission when you sport your Seahawks gear through their run for the Super Bowl. 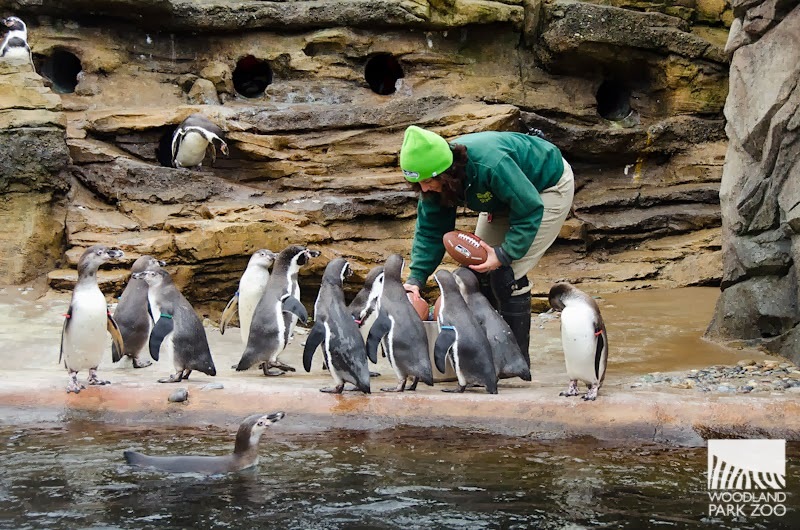 When zookeeper Celine Pardo tossed a bucket full o’ footballs to the Humboldt penguins, we learned how penguins rush—let’s call it Beak Mode. 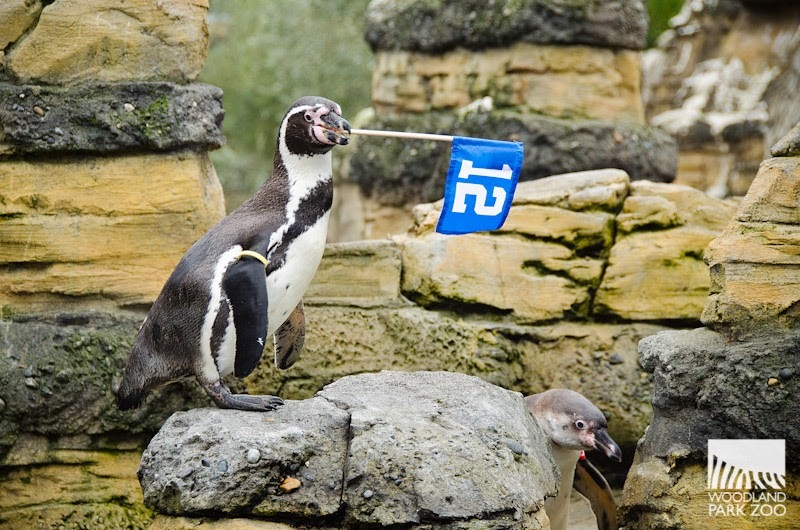 Cortez the penguin took it to the next level, waving his flag for all the 12s out there. 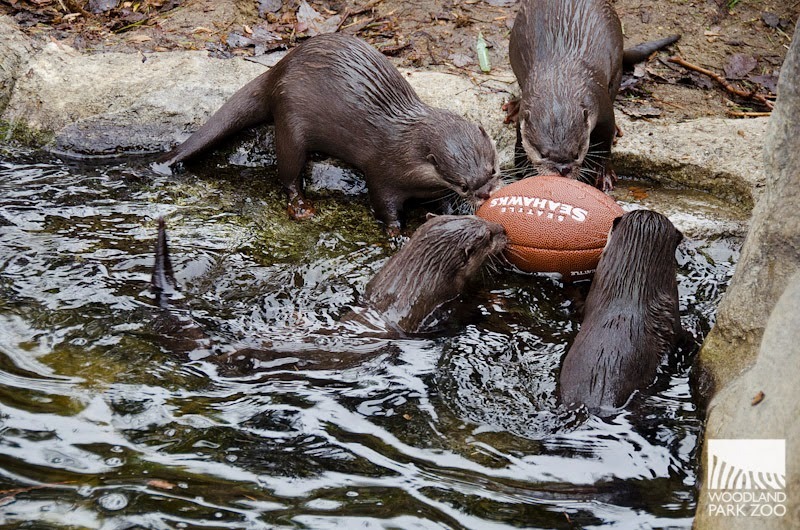 The Asian small-clawed otters huddled to come up with their next play. The other team will never see this gnawesome play coming. 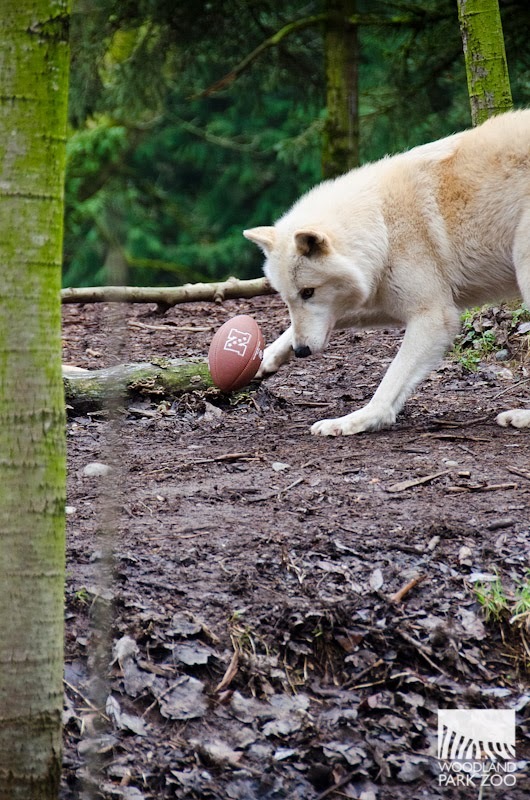 Every team needs a dependable kicker. 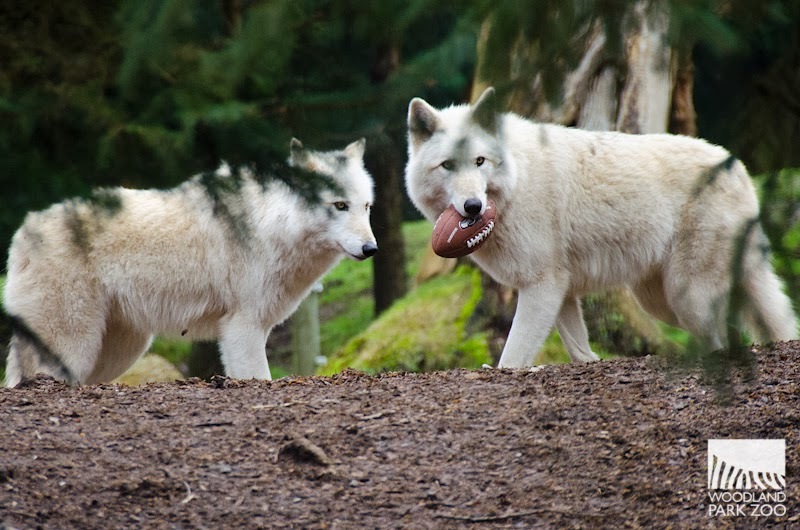 If you want a wolf to keep possession, douse the ball with pineapple extract, anise extract and a spritz of musky cologne. 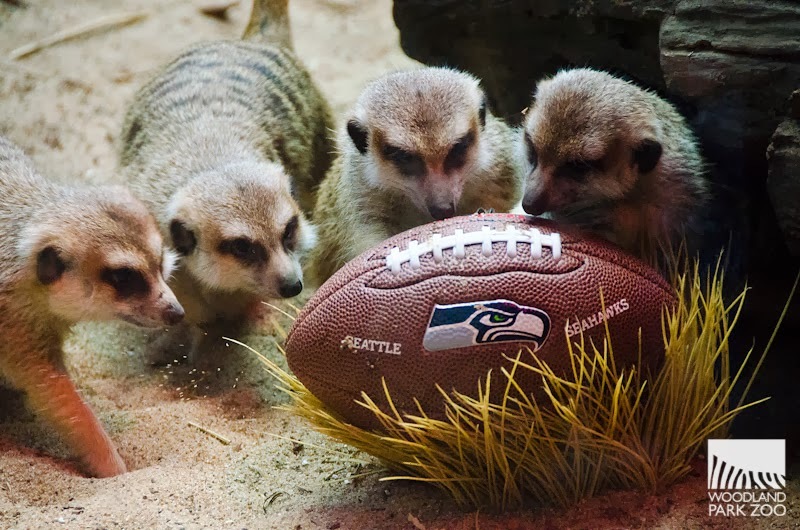 The tiny meerkats were outsized by a mini football, a monolith to the curious mob. But they didn’t shy away. 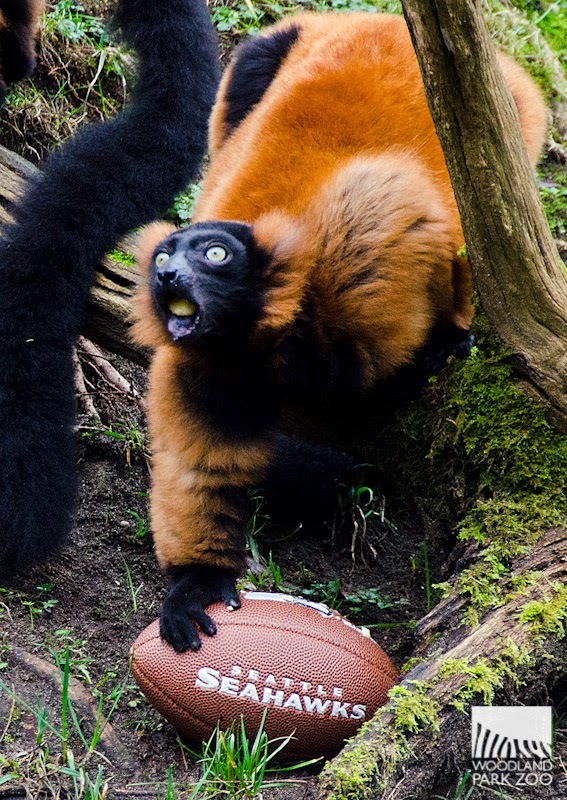 After all, the ball was smeared with essence of mealworm, a meerkat favorite. 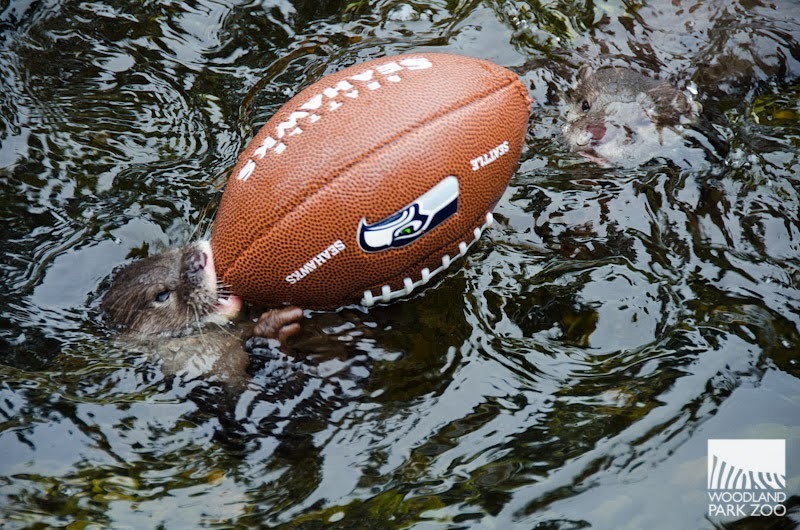 The river otters got in on the action too. With a fumble on the field, it was anyone’s to recover. 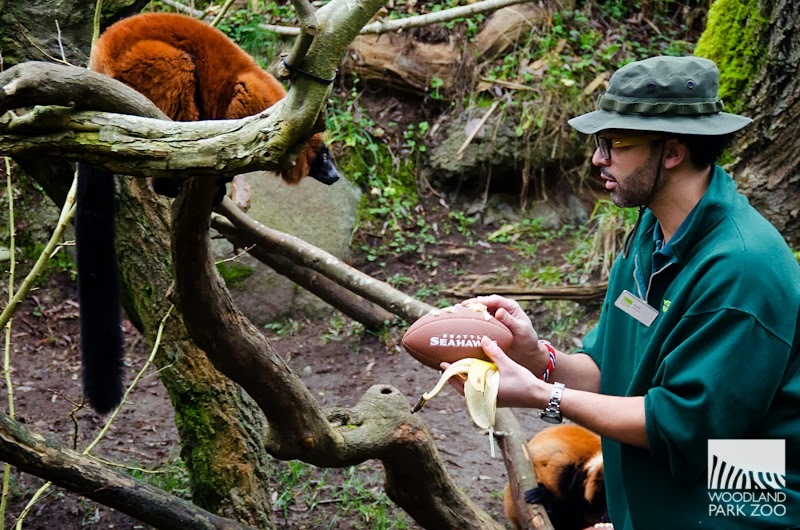 Zookeeper Coach Nick Sutton knows how to motivate the team: coat the football in banana! 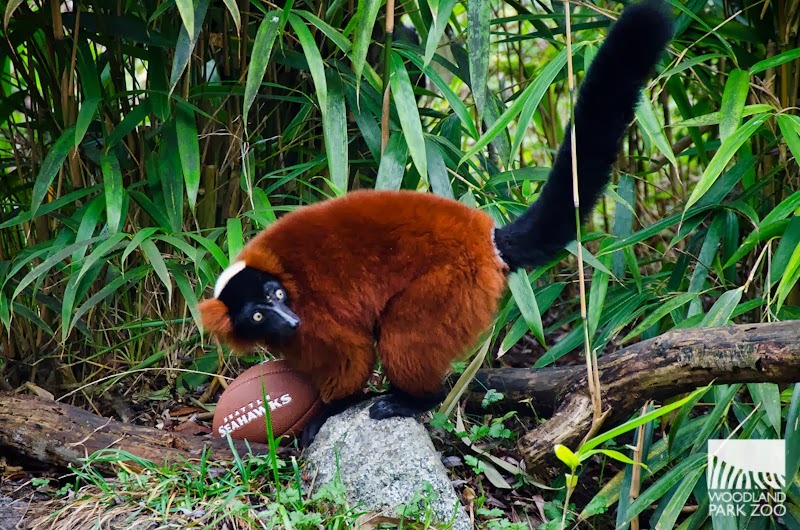 Lemurs are some of the loudest animals at Woodland Park Zoo—it’s only right that they join the loudest fans in the NFL. Are you ready for Sunday, Blue Pride fans? ?